WE HAVE WEATHER TO TALK ABOUT! LET US ALL REJOICE! OK, I got that out of my system. We have an atmospheric river (Pineapple Express; Figure 1) event occurring late this week and into early next week bringing much needed precipitation to Northern California and the Pacific Northwest. However, per usual, there is some uncertainty associated with the event. Figure 1. Precipitable water forecast valid Friday afternoon. 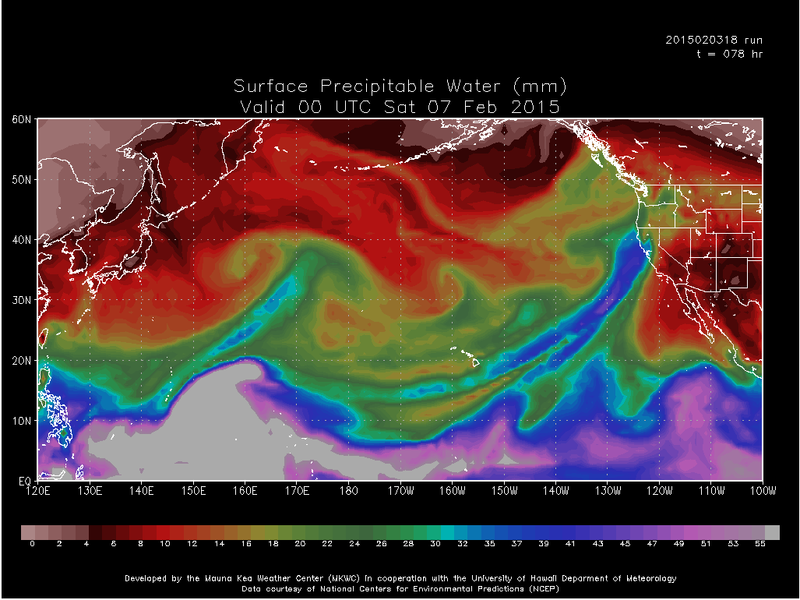 Notice the higher precipitable water values stretching from Hawaii to the California coast. The core of the upper level jet moves directly over Tahoe and the deepest moisture associated with the atmospheric river doesn't reach the crest and the central and southern Sierra. This scenario would be similar to what we have seen with previous atmospheric river events this winter; good precipitation, but with higher snow levels. Figure 2. Accumulated liquid precipitation forecast amounts for the next 7 days. Via the WPC. Snow levels would hover around 8000 ft., but would fluctuate between 7000 and 9000 ft. over the weekend including dropping early Saturday and again on Monday. If this occurs and with the precipitation forecast of 2-6" (Figure 2) of liquid precipitation, snowpack below 7000 ft. (what's left of it) would be decimated and snowpack above 8000 ft. would receive 1-2 ft. of heavy Sierra cement snow depending on location and elevation. The upper level jet stays to our north, the area receives 20-50% less precipitation than Scenario #1, and snow levels remain around 9000 ft. until Monday. If this occurs, GAME OVER. BYE BYE WINTER. SELL YOUR SKIS. This would equate to 1-5" rain below 9000 ft., which as you know is most of the ski-able terrain in the Sierra near Tahoe. Scenario #2 would be catastrophic to the snowpack and for the winter moving forward. We would essentially have to start over. 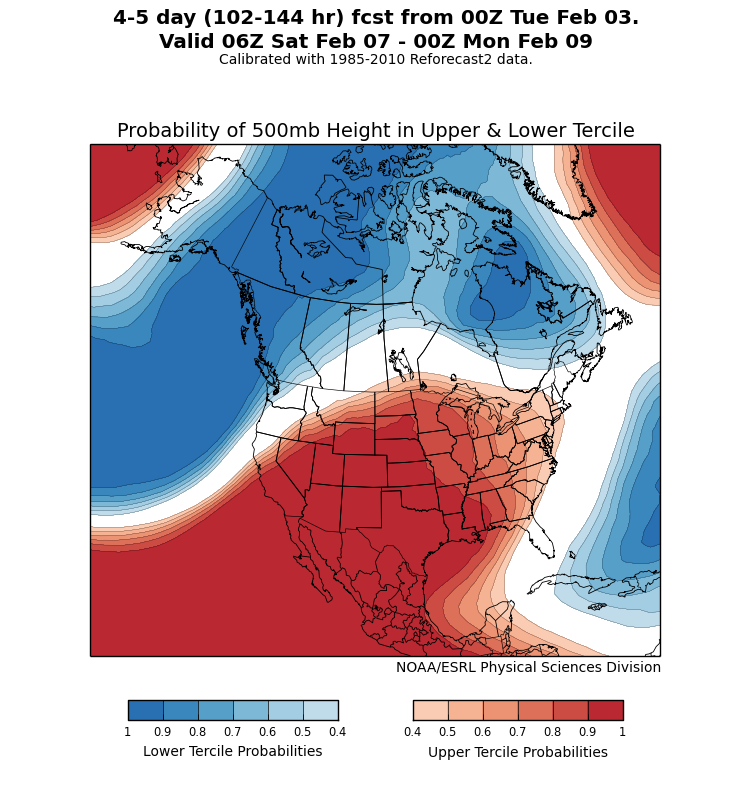 Figure 3 shows that the Sierra and Tahoe are once again in a transition zone. The lower heights, colder air stays to the west and north. The ridge does flatten, but it doesn't fully break down (stubborn Omegasaurus). Without strong cold air accompanying the jet and pushing east to southeast, the ridge flattens but doesn't go away. This is one reason why snow levels could be higher and that the storm track could shift slightly to the north. The upper level jet slides south of Tahoe, we receive about the same amount of precipitation as Scenario #1 (2-6"), maybe a little more, and snow levels would fluctuate between 6000 and 8000 ft. This is obviously the best case scenario with snow down to and below lake level for at least part of the storm with snow above 7000 ft. for the majority of the event. This event will also promote more spillover precipitation, so Mt. Rose, Heavenly and western Nevada would see more rain and snow. This would drop 1-3 ft.+ of some prime sticky Sierra cement. Models recently have trended to a slightly more southerly track for the jet. IF this continues and colder air can make a strong push to the east/southeast, the probability of Scenario #3 occurring increases. HOWEVER, I am skeptical of any significant southerly storm track change due to the presence of the ridge, the orientation of the waves, and what we have seen recently. If you are still reading at this point, congratulations. As the title of the post says, this weekend represents a crossroads of sorts for the 2014-15 Sierra winter. And when I think of crossroads, I think of Bone Thugs. And if you don't, shame on you. The crossroads facing the Sierra doesn't include missing Uncle Charlie (RIP Uncle Charlie) but it does include the three scenarios described above. This event could bring some needed precipitation that will help fill reservoirs in Northern California, but with high snow levels. This event could also decimate the snowpack with a major rain on snow event. And finally, it could provide a nice reprieve from the bummer of the winter we've had and refresh the snowpack for most of the resorts, especially the higher elevation ones (Kirkwood, Mt. Rose, Heavenly, etc.). We will have updates throughout the week, so stay tuned.